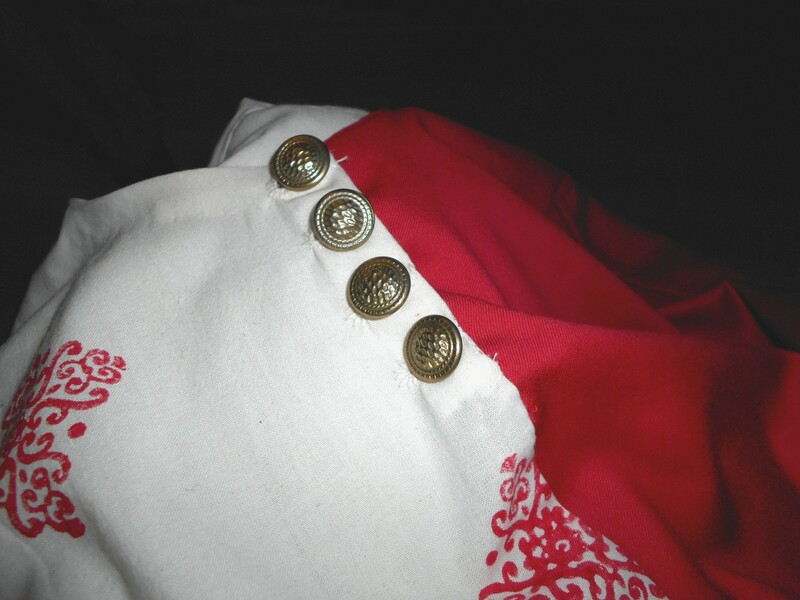 So, ten minutes ago I sewed the last button on my husband Budde's new mi-parti tunic from around 1300. 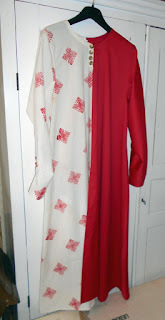 I used the remnants of the wool fabric I printed for my gown and some of the new red wool fabric I got in Borås. He's away playing X-wing right now, so I can't make him put on hose, shirt, shoes and hat, with it to show you, but here it is, hanging on my fabric cupboard. 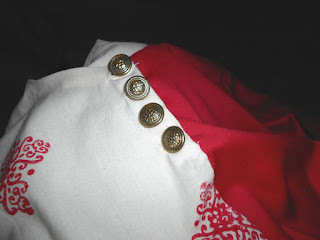 Detail shot of the hand made button holes and the brass buttons (which are not based on a find, but I thought that they look okay, and I got them for free from my neighbour Anna).